Strawberries have historically been proven as a healthy berry, and recently proven to lower blood pressure. This nutrient rich berry also contains significant amounts of the antioxidants and "good" acids the body needs. Oregon strawberries are red through and through, and naturally sweet, allowing ice cream makers to save on dyes and processed sugars. When processed, Oregon strawberries retain their flavor, color, and texture, making them highly desirable for frozen dairy products. They are in fact widely used in quality ice creams, milkshakes, and smoothies. 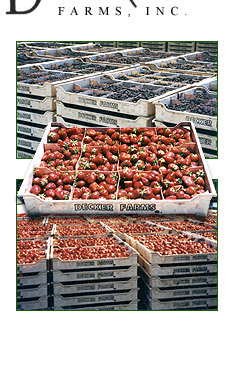 Beverage manufacturers select Oregon strawberry purees for their vibrant color and intense strawberry flavor.